Our new Summer edition is almost here and available for pre-order now (for a December delivery). We’re super proud of this issue and that front cover! Here’s a sneak peek look at what’s inside. Firstly, how gorgeous is our front cover home belonging to Kristy Gordon? The star of her all-white kitchen has to be that stunning glass splashback looking out to the vertical garden. Kristy has embraced greenery throughout her cheerful abode, and to stunning effect which you can also see in her dining room pictured above. Looking for relaxed coastal style? 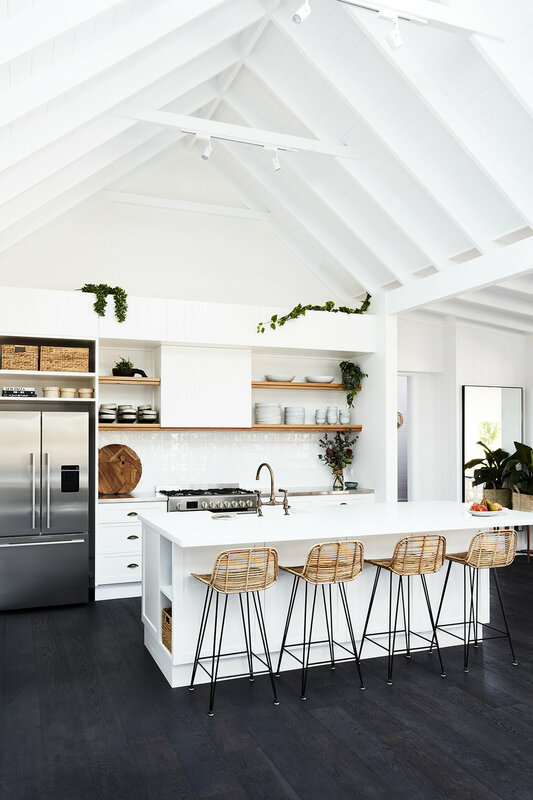 You’ll adore Kirsten Thompson’s family home (pictured above), along with holiday home Soul of Gerringong (pictured below). Looking for outdoor inspiration for your garden? We’ve got three stylish outdoor spaces in this edition – and this space above in the home of Ashleigh and Ben Keily (of Arc + Family) is pure tropical bliss. Our Summer edition is in newsagents from Thursday, November 30 and available to order now through the Adore online shop (click here).